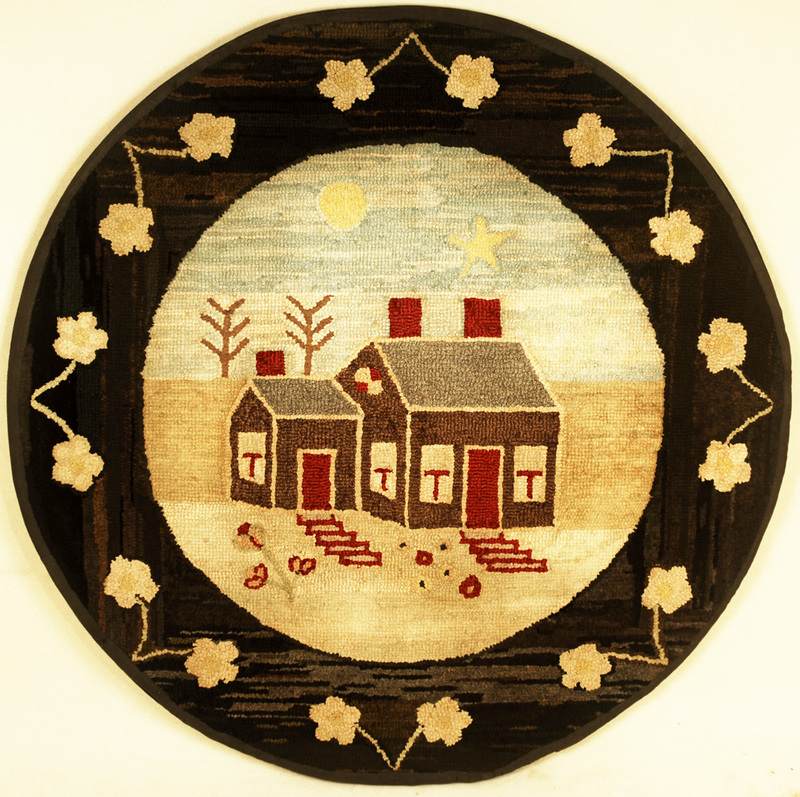 RJG ANTIQUES, Rye, NH russ@RJGAntiques.com 603-433-1770 Round hooked rug with house and flowers. Maine, circa 1900-20. Fine original condition. Stretched and mounted for hanging. 38" diameter.